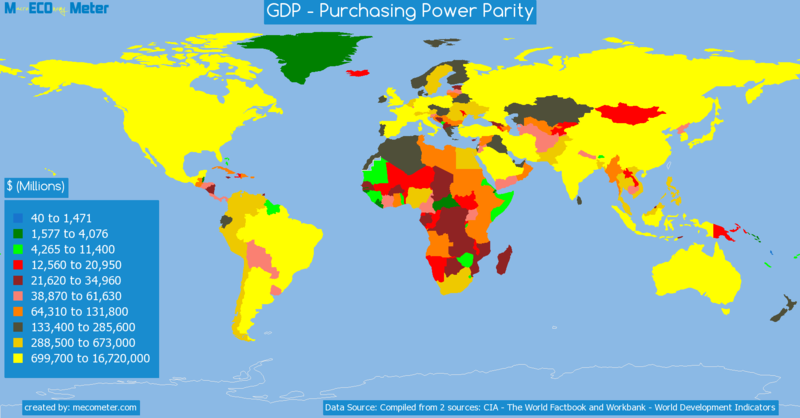 Value & RankThe GDP - Purchasing Power Parity of Puerto Rico is 127 ( billions of $) with a global rank of 66. 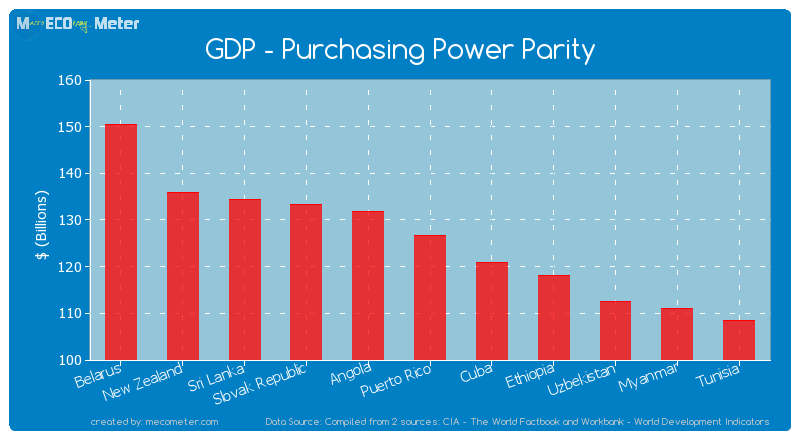 Puerto Rico compared to other CountriesThe GDP - Purchasing Power Parity of Puerto Rico is similar to that of Belarus, New Zealand, Sri Lanka, Slovak Republic, Angola, Cuba, Ethiopia, Uzbekistan, Myanmar, Tunisia with a respective GDP - Purchasing Power Parity of 150, 136, 135, 133, 132, 121, 118, 113, 111, 108 ( billions of $) and a global rank of 61, 62, 63, 64, 65, 67, 68, 69, 70, 71.10 years growthPuerto Rico's GDP - Purchasing Power Parity had a positive growth of 18.2 (%) in the last 10 years from (2002 to 2012). 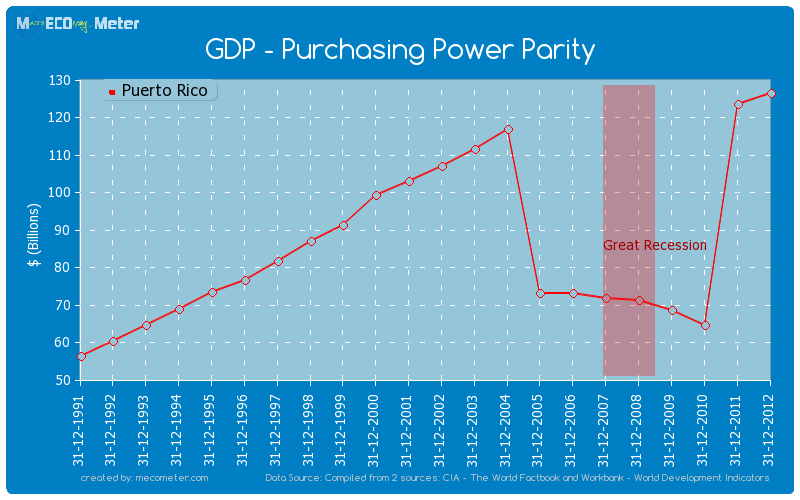 Last 10 years averagePuerto Rico had an average GDP - Purchasing Power Parity of 91.8 ( billions of $) in the last 10 years from (2002 to 2012).